Vicki Kindy shares how she questioned her life purpose and found the answer with Guruji Mahendra Trivedi. Vicki Kindy grew up in the desert of Southern California. From an early age, she experienced the world as nonsensical and confusing, feeling lost and disconnected. This dissatisfaction led her to seek meaning and connection. Efficient and capable, she developed a successful and profitable property management company. She also explored religious life through church attendance. But these ... See More efforts did not bring the expected joy and satisfaction. Religion, professional work, and family life did not provide the spiritual connection she desired. In 2015, Vicki was introduced to the Life Force energy work of Guruji Mahendra Trivedi. She immediately knew that this was the spiritual path she had been seeking. As she began to receive Biofield Energy Transmissions from Mr. Trivedi, and listened carefully to his teachings, her spiritual connection with the Divine deepened. Vicki realized that she has a gift to guide people towards elevating their consciousness so that they are able to harness the Divine energy. She is focused on her profound development and to utilize the Divine endowments she has gotten, dedicatedly and passionately towards bringing in positive transformation. 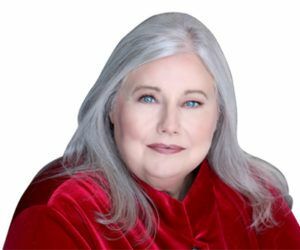 She helps them harness the powerful Life Force energy from the Universe and coordinate this vitality towards plants, animals or people in order to improve all aspects of their life.